The HYDAC ELF filter series is tank breather filter with filter strainer, lockable option and a flow capacity up to 5500 l/min. 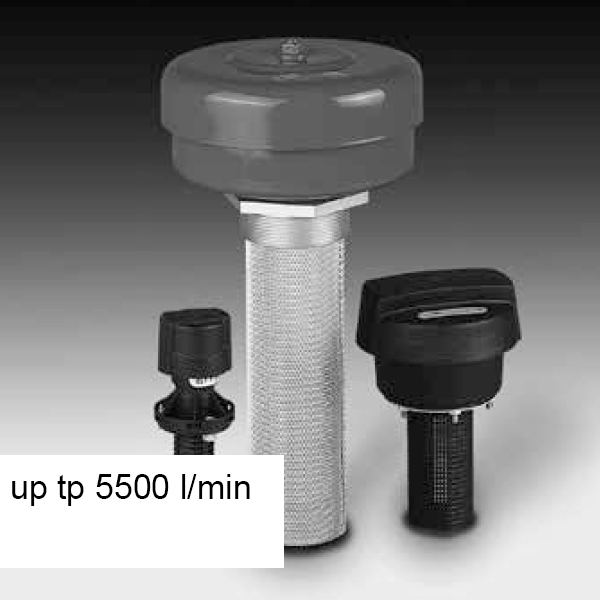 Tank breather filters size 4, 10, 3 and 30 consist of an air filter top, which is connected to the mounting flange by a bayonet plate or a threaded boss, and a filler strainer. On the other hand, sizes 5 and 52 consists of a two-part threaded air filter top, with built-in oil mist trap, one or two exchangeable filter element(s) and a filler strainer. Finally, sizes 7 and 72 consist of a two-part flanged filter top, an exchangeable filter element and a filter strainer.